Concerts by Italian megastar Vasco Rossi are usually a full-on emotional and engaging experience, but the recent ‘Non Stop Live’ summer stadium tour by the iconic artist was also ‘moving’ from a completely different perspective … a large Kinesys automation system was used to dramatically change the architecture and shape of the stage through the show. Lighting designer Giovanni Pinna, set designer Claudio Santucci of Gioforma, d3 operator Marco Piva and other key members of Vasco’s creative team including live camera director Peppe Romano were instrumental in the implementation of the Kinesys system to maximise the dynamic movement they wanted as part of the show aesthetic. The hardware and control was supplied by PRG Belgium and operated on the road by Jimmy Johnson a UK based rigger / automation specialist. The system comprised 16 x half tonne Kinesys ApexHOISTS complete with ApexDRIVES which were used to fly move four ‘satellite’ video screens / lighting pods immediately above the stage. These tracked upstage / downstage as well as flying up and down! “Apex was selected for this task so we have the latest Kinesys technology with all the required safety features to fly above the performers” confirmed Jimmy. 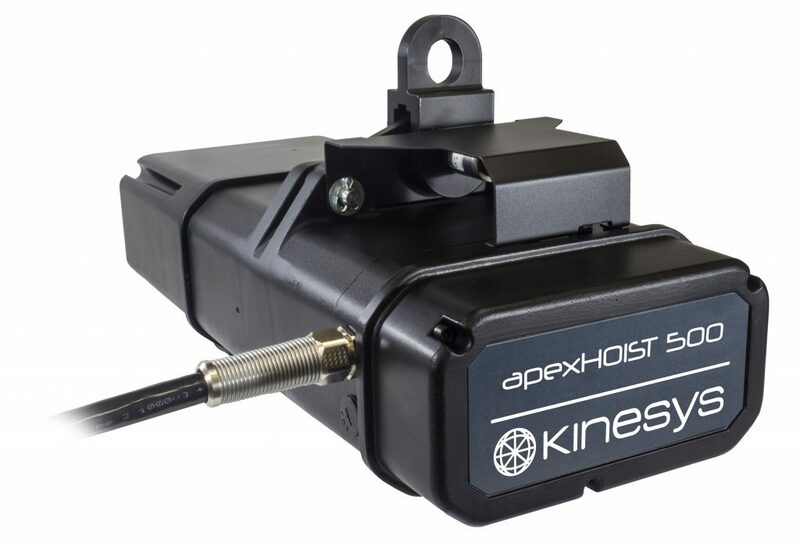 He mentioned that the 30-metres-per-minute run speed and zero speed ‘hover’ capabilities of the Apex hoists are also excellent, but above all they wanted the “confidence of knowing the system was absolutely safe that you get with a trusted brand like Kinesys”. The four pods weighed 850Kg each and were tracked using eight Yale beam trolleys running with Kinesys Elevation 1+ drives. Vasco Rossi shows are also known for their impressive, stark and industrial styled set designs and this one was no exception, complete with three large video screens – centre, left and right … all of which split horizontally in two. The central was screen measured 18 metres wide by 10 metres high (a perfect 16:9 aspect ratio), with two side ones at 12 x 12 metres. These were all moved using a total of 20 x Kinesys-converted Liftket 1 tonne motors, all fitted with Kinesys LibraCELL load monitoring shackles to ensure accurate and vital safety feedback, which was sent to the Kinesys K2 controller and the Mentor series 4 Estop controller, another part of the Kinesys system. He chose K2 for many reasons including the “excellent and very flexible visualisation” it provided of the satellite screens, which were on the two different motion systems to give full XYZ movement axes. K2 also allowed them to clearly and accurately preview all the movement cues during pre-production. 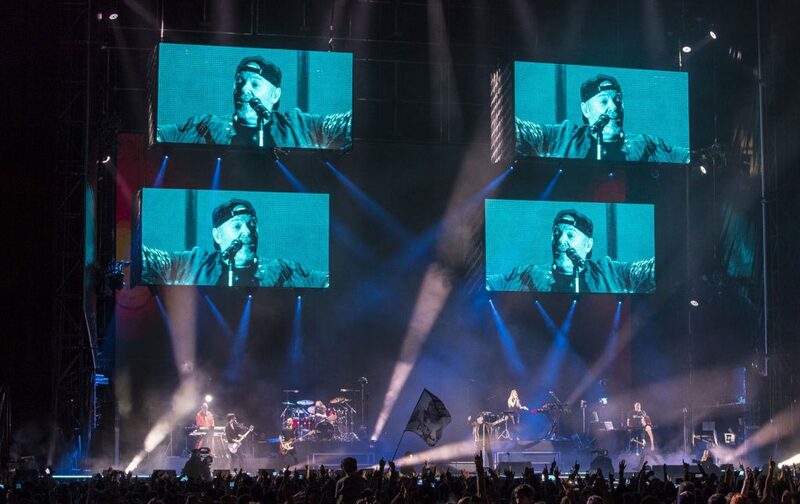 Ahead of the tour, Giovanni produced a list of the automation cues he wanted to achieve, which started from the seventh number and continued throughout the rest of the epic set, requiring careful synchronisation between automation, lighting and video departments. The video mapping facility in K2 was utilised to link to the d3 server, so the images appearing on the screens could be aligned to the individual surfaces as they moved, so both the playback video and the IMAG mix stayed in place and in proportion on the moving screens. They also had four 12-way DigiHoist controllers and hand-sets for general lifting and a Mentor Series 4 E stop across the entire system. 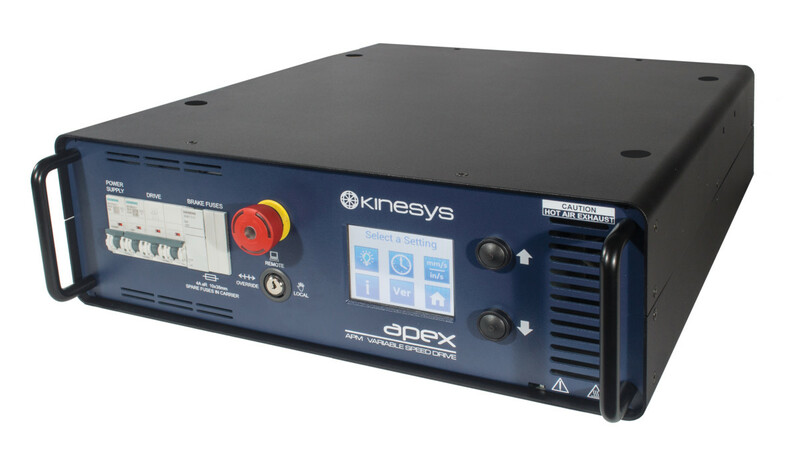 A Kinesys Vector PC was used during get-ins and tear-downs for more simple direct control of the motors. 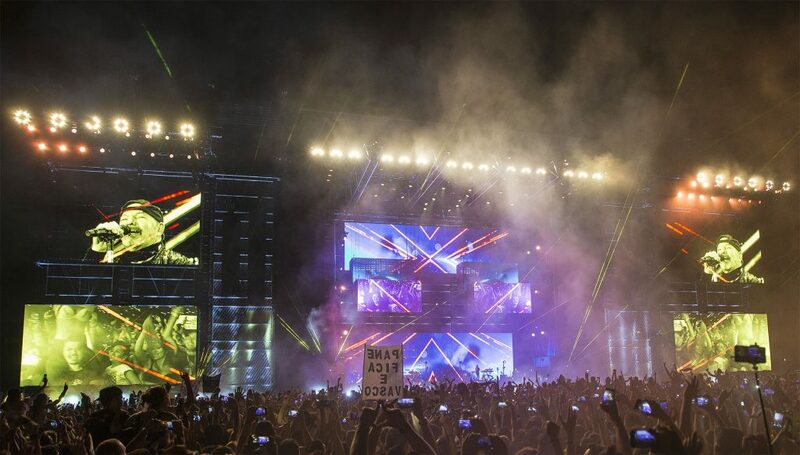 He likes the modularity of Kinesys and the fact that it can be as straightforward or as complex as you need it to be, and he feels the brand is evolving to meet the growing demands of an expanding market as automation becomes more popular – and affordable – for a wider range of shows and events. On the Vasco show, he particularly liked the way the video, lighting and automation cues all integrated seamlessly in certain songs, ‘Stupido Hotel’ being a great example, to produce a fantastic piece of technical choreography. For Giovanni Pinna, having the Kinesys system ensured that creativity could really be maximised “the ability to shift and change the environment throughout the show was fantastic”, he commented. 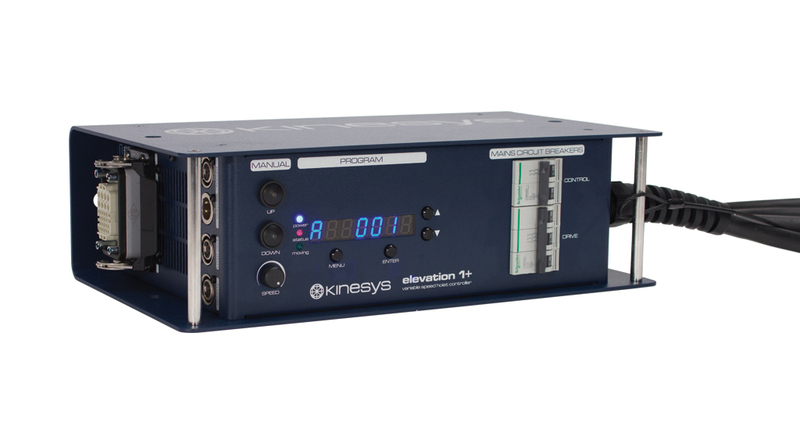 He’s used other automation systems on the road before … But this was the first time it’s been Kinesys, and he was really impressed with the stability. “It’s really a premium product”, he concluded.